In Comes Joe Don – Jay DeMarcus became the band leader for Chely Wright and Joe Don Rooney was the guitarst for the band. That’s how they met. And Then They Were A Trio – Jay Demarcus and Gary LeVox were working at a night club in Nashville and when their guitarist wasn’t available one night, they asked Joe Don Rooney to sit it for him. Rascal Flatts The Name – The crowd loved the three of them together and asked their name. They said they didn’t have one and a man in the crowd said he had a garage band named “Rascal Flatts” and it stuck! Making It Official – The band went into do a demo with Lyric Street Records and just blew them away with the harmonies and vocals. They signed the band Rascal Flatts in 1999. The First Single: Prayin’ For Daylight(Released February 21, 2000.) was one of the songs that they had featured on their 3 song demo, which resulted in Lyric Street signing them originally. It was featured on their self-titled debut album. Their Number Ones: They’ve had 12 #1 sincles and their cover of Marcus Hummon’s “Bless the Broken Road” lasted the longest with 5 weeks on top. They Cross-Over: Their song “What Hurts the Most” hit the top of both the country and adult contemporary charts and went all the way #6 on the Billboard Hot 100. 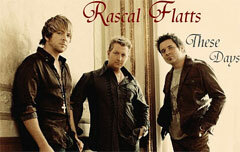 The Ohio Senate passed Senate Bill 233, sponsored by Senator Jim Hughes (R–Columbus), to designate February 21st as “Rascal Flatts Day” in Ohio (ORC: 5.26 Rascal Flatts Day. 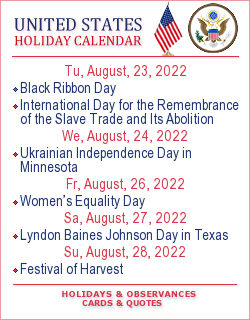 Added by 130th General Assembly File No. TBD, SB 272, §1, eff. 3/23/2015). “The Buckeye State is very proud to have two of its own among the ranks of one of the nation’s top country bands,” said Hughes. “They have been terrific role models and performed for numerous charities in our state, and they deserve to be recognized for their contributions to Ohio.” Rascal Flatts been the recipients of numerous awards including ones from the Academy of Country Music, Country Music Association, and many more. Additionally, $30 million in ticket sales in the state of Ohio coupled with the spending on lodging, food and beverages, and local shopping has helped benefit the state’s economy.